Brewery Ommegang opened in 1997 to craft-brew fine Belgian-style ales. 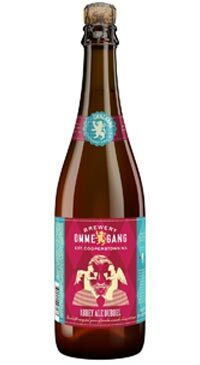 Ommegang brews eight ales year-round, as well as an extensive and imaginative range of seasonal and specialty ales. The beers have won a national following by connoisseurs of fine beer and are distributed in 43 states and internationally. Ommegang is located on a 136-acre farmstead in Cooperstown, New York and offers free daily tours and inexpensive tastings as well as a well-stocked brewery store and an annual calendar of public events. Deep burgundy colour with a big, fluffy head. Complex fruit aromas with a layered sweetness (honey, then caramel, then toffee) with a hint of licorice and chocolate. A big, rich, abbey-style ale that dries out nicely on the finish.